LG Electronics (LG), the technology innovator in the field of global mobile communications, has announced that LG Pop GD510 successful experience selling 1 million units in just 100 days after launch in October 2009. LG Pop (LG GD510) is now present throughout the world, and became a full touchscreen phone which sell quickly. With display measuring 3 inch WQVGA, display handset LG Pop (LG GD510) is coated with a super slim frame with a bezel measuring just 4.8mm. LG Pop (LG GD510) also allows the user to update the status on social networking sites like Facebook, MySpace and Twitter. "LG Pop offers many advantages of a smartphone, and use environmentally friendly technology." Dr. Skott Ahn, President and CEO of LG Electronics Mobile Communications Company. 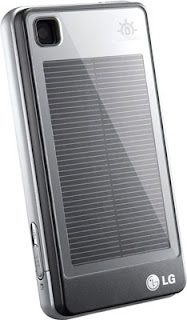 With a solar battery owned handsets LG Pop (LG GD510), then every 10 minutes the phone will use the power from the sun for over 2 minutes talktime or standby for 180 minutes. Users are also able to calculate exactly how much CO2 has been reduced by the solar battery power, because of the application tree and the Eco-Eco-calculator. LG Characters Cover (LG GD510) are also present in the color pink, green and orange, black, silver and glossy white.